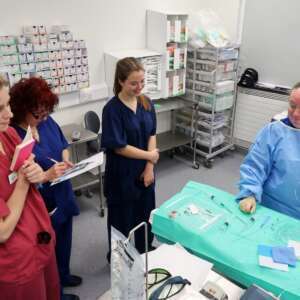 The Wessex Diagnostic team are pleased be working in collaboration with the Melbury Clinic, to provide live and interactive training on the practical aspects of performing venous procedures under local anaesthetic. 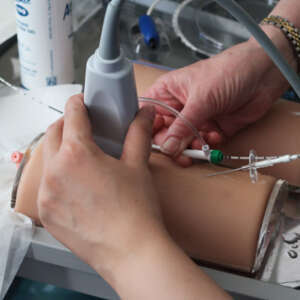 In line with guidance from the National Institute of Health and Care Excellence – Guidance CG168 – we recognise that venous conditions should be treated by specialist teams. This course is particularly suited to group attendees who can learn together as a team and identify their individual learning needs. 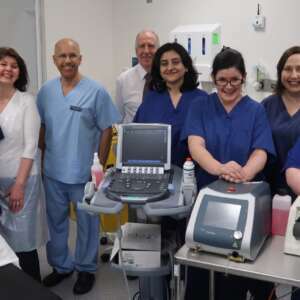 Not only does the course provide demonstrations in our treatment rooms but we provide training and certification in laser safety and an opportunity to gain hands on experience of ultrasound guidance on simulators. This course provides 6 CPD credits in accordance with the CPD scheme of the Royal College of Radiologists. After attending this course, we can arrange a bespoke training programme for you and your team in your own clinic. Local accomodation can be booked at Summer Lodge Hotel (10 minutes away); the Yeovil Hotel or the Yeovil Premier Inn. Please visit The Melbury Clinic website for more details and map.